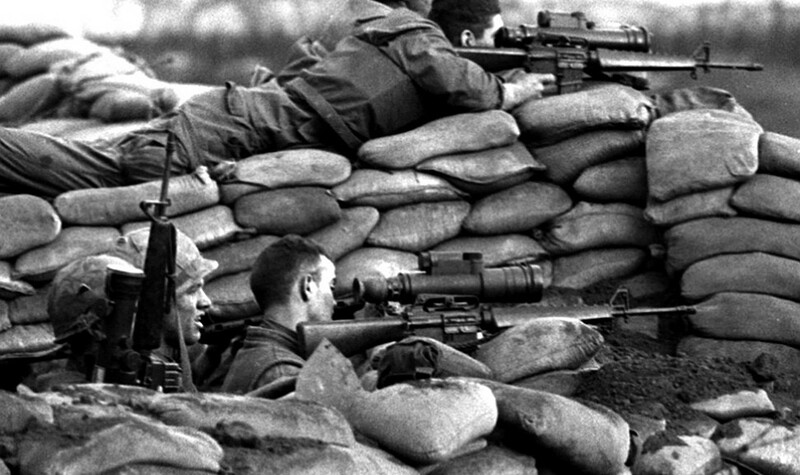 Home > What were major Battles of the Vietnam War? What were major Battles of the Vietnam War? 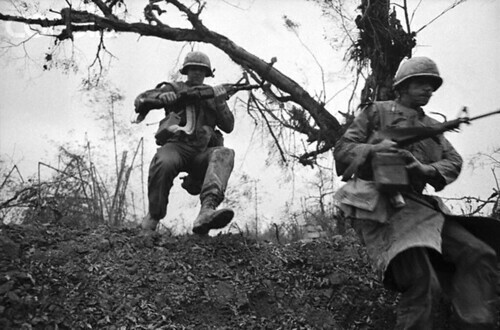 The Battle of Ap Bac was the first major battle during the Vietnam War. It was fought by the Army of the Republic of Viet Nam (ARVN) and the National Front for the Liberation of South Vietnam (NLF/Viet Cong) at Ap Bac, a village in Dinh Tuong province, approximately 50 miles southwest of Saigon on January 2, 1963. The battle resulted in heavy casualties on a much more superior South Vietnamese force, consisting of some 2,500 troops of South Vietnam’s 7th Infantry Division, who with American assistance in weapons and planning and much better equipped, failed to defeat a group of 350 guerrillas. The battle exemplified poor performances in terms of both fighting ability and spirit of South Vietnamese forces in compared to the Viet Cong, who won its first major victory. Battle of Ia Drang was the first major battle between regular U.S. and People’s Army of Vietnam (PAVN) troops. The 2-part battle occurred from November 14 to 18, 1965 at the Landing Zone X-Ray and Albany in Ia Drang Valley, Central Highlands of South Vietnam. Despite heavy casualties on both sides, both claimed the battle was a victory of their owns. As a matter of fact, Ia Drang Valley battle was considered essential as it set the blueprint for tactics for both sides during the conflict. American troops continued to reply on air mobility and artillery fire to achieve their battlefield objectives – victory of the so-called “body count”. On the other side, the Viet Cong learned that by quickly engaging their combat forces close to the enemy (fighting at close range), they could neutralize American advantages. The Battle of Khe Sanh took place in Khe Sanh – northwestern Quang Tri province, South Vietnam from January 21, 1968, when PAVN troops began a heavy artillery bombardment on the U.S. Marine garrison at Khe Sanh. For the next 77 days, ARVN and U.S. Marines fought an extensive fight until Operation Pegasus ended the siege. Khe Sanh turned out to be one of the longest and bloodiest battles of the Vietnam War. Aftermath, both sides claimed victory despite heavy casualties on the communists and the fact that the U.S. had to abandon a key combat base for the first time due to enemy pressure. Although U.S. officials expected a full-scale offensive from the North Vietnamese troops, it never came. Instead, Battle of Khe Sanh seemed a diversionary tactic to distract American & South Vietnamese forces from the Viet Cong build-up in the South for the so-called “Tet Offensive”. While the U.S. and South Vietnamese were still focusing on Khe Sanh, the North Vietnamese and Viet Cong troops surprisingly launched the Tet Offensive – a series of aggressive and coordinated surprise attacks on over 100 major towns and cities throughout South Vietnam on January 30 – the first day of Tet (Vietnamese Lunar New Year). Despite its surprise and initial success, the communists were quickly repelled within several hours or days except for Saigon, which took around 2 weeks and particularly Hue, which took the PAVN nearly a month to recapture the former capital city of Hue. Although Tet Offensive was indeed a massive military defeat for North Vietnam, it was often considered as a “strategic” and “psychological” victory if not a turning point in the war for the North communists as it shocked the U.S. government and public at home. After Tet, as U.S. public support for the conflict plummeted, President Johnson decided to stop bombing attacks in North Vietnam and seek negotiations to end the conflict instead. Previous Post: What was Australian Tactics in Vietnam war? Next Post: Why did Search & Destroy fail in Vietnam?